Brazil’s incoming government has sparked controversy by casting a veil of uncertainty over its future relations with Argentina and the Mercosur trade bloc. Brazil’s incoming government has sparked controversy by casting a veil of uncertainty over its future relations with Argentina and the Mercosur trade bloc, with President-Elect Jair Bolsonaro showing more interest in strengthening ties with international superpowers than regional neighbours. “I liked hearing Macri talk about the reduction of public spending because Argentina is coming out of a crisis which demands unpopular measures,” Bolsonaro said Monday in a radio interview with Mendoza’s MDZ Online. His comment came after Brazil’s incoming Finance Minister Paulo Guedes sparked fears on Sunday by declaring that Argentina and Mercosur are no longer Brazil’s priority. However, two days later he apologised in an interview with La Nación, stressing the fact that Brazil’s main focus is currently on domestic economic issues. The bloc’s once-protectionist approach to trade seems to collide with the new government’s neoliberal aspirations amid a seeming desire to go it alone in the international arena. 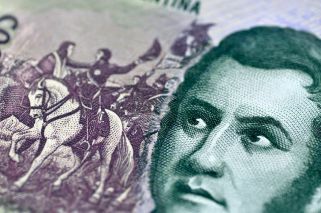 Guedes’ comments suggest Brazil will determine its future trade policies solely based on its own interest, said Ivan Briscoe, director at Crisis Group’s Latin America and Caribbean programme. 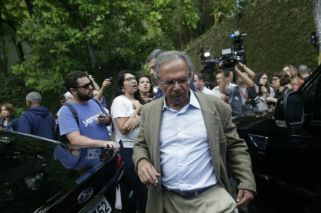 Industrial entrepreneurs warned of severe consequences if Bolsonaro’s future government sought to pursue bilateral treaties that risk weakening the bargaining position of the South American bloc. But Brazil’s early stances could also represent a wake-up call for the bloc. Mercosur’s tendency to fall back on protectionist policies has, for years, prevented Latin American countries from successfully coordinating trade policies toward third countries. There has been no news about a first bilateral meeting between Bolsonaro and Macri yet, though some have speculated it might take place on the sidelines of the G20 Leaders Summit at the end of the month. However, one things is certain: the president-elects first foreign trip will not be to Argentina, as is tradition, but instead to Chile, incoming Chief-of-Staff Onyx Lorenzoni said Monday. “I think he’s trying to deconstruct everything that has been done under Lula,” said Gustavo Ribeiro, founder of The Brazilian Report. For Argentina, relations with its giant neighbour – its largest trading partner – are of paramount importance. In 2017, the country has imported Argentine products for a total of US$9.3 billion, almost 16 percent of Argentina’s overall exports.